Postcard NL-2904282 from the Netherlands was bought in Lisbon during a trip to Portugal. 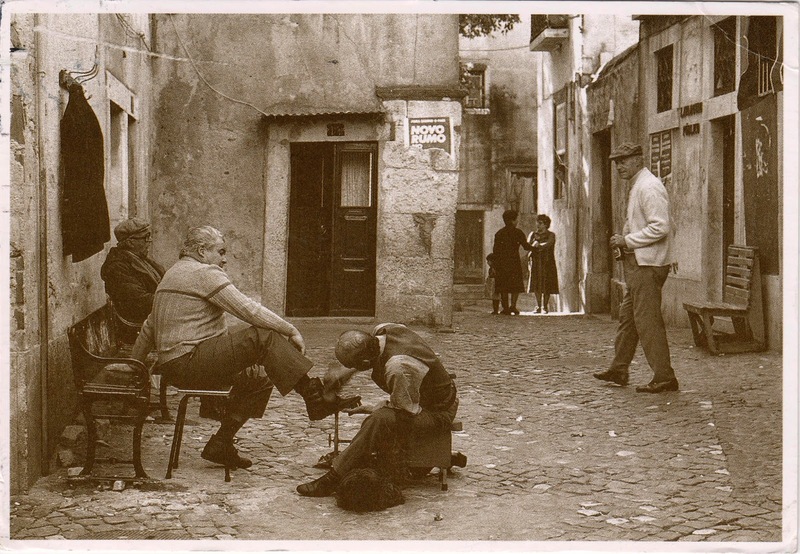 The photo, taken by Christian Auscher in 1987, features a shoeshiner in an ordinary day in Lisbon. Danut Ivanescu from Romania has received a copy of the same card through a private swap. In his blog, he made some interesting observations on shoeshiner as a profession. In Las Vegas, many casinos, hotels, convention centers, shopping malls and the airport have hosted shoeshining stands.